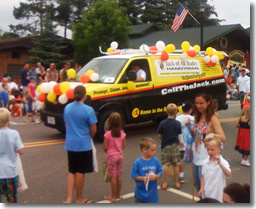 If you are looking for information on the Jack of All Trades Handyman franchise business opportunity, Jack of All Trades Handyman franchises or Jack of All Trades Handyman franchising, then you have come to the right place. Jack of All Trades Handyman® provides handyman services to residential and light commercial properties. 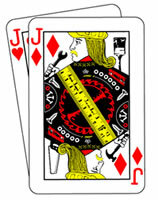 At Jack of All Trades Handyman® we train you to be the CEO of your own business. We provide you a detailed system for hiring the right handymen for your franchise. We also operate a National Call Center where we handle customer inquiries and schedule appointments for you. This allows you the freedom to focus on growing your business rather than answering calls and pounding nails. The handyman business is comprised mainly of mom & pop businesses which tend to be disorganized, unprofessional, and unreliable. Due to our organizational model, we are able to offer a strong brand name and provide our customers with Prompt, Clean, and Professional™ service. In the handyman industry, approximately 60% of customer inquiry calls go unanswered. For the average handyman business this results in a loss of business. We have the solution! Our national call center handles customer calls and schedules appointments for you using our state of the art scheduling software. By following our step by step marketing plan, you will quickly find we are able to obtain new customers much quicker and at a much lower cost than our competitors. We offer a comprehensive training program to teach you how to operate your franchised business. As part of our operational system, we teach you how to hire qualified technicians to perform the handyman work. Our Operations Manual also gives you a step by step guide to operating your franchised business. Starting a new business can be challenging if you go at it alone. That is why we have a personal business coach that will work with you during the start up phase of your business. Lean on our experience and we will guide you through the process.